These days, modern prefabricated houses are a far cry from their mundane and mediocre predecessors. Instead, these dwellings have been fabulously reinvented to provide inexpensive housing that still boasts luxury, style and refinement. 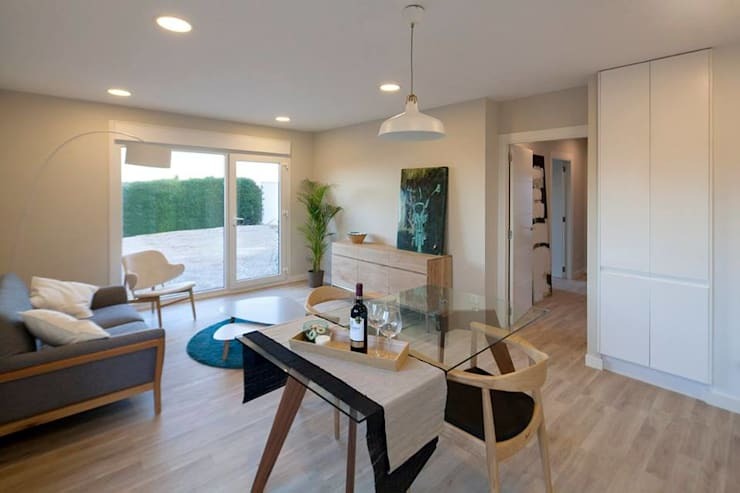 Generally built off-site and assembled on-site, modular homes impart a sense of efficiency into the construction industry, and offer the owner a range of modifications that personalise their structure, and impart a sense of uniqueness. Today's feature property is no exception; replete with class and modernity, this residence features a minimalist touch that has been enhanced through smart architecture and lavish interior features. Designed by Valencia-based firm inHaus, this dwelling is part of the Chipioni range, and simply bursts with energy and verve. A humble 75 square metres in size, the compact abode is dynamic in its appeal and essential elements. Offering high quality finishes, sophisticated fixtures, and a range of seamlessly introduced fittings, we adore the unfussy and uncomplicated aesthetic. If you would like to take a peek inside this intriguing and streamlined property, check out the images below and get a little inspiration for your next home makeover or remodel. As we first set our eyes upon this home, it certainly isn't clear that this is a modular, prefabricated structure. Looking a little more like an individual architecturally designed luxury dwelling, this property oozes appeal, and is a bold yet welcoming home. The stone sections work beautifully against the panelled white sections, and when paired with the minimalist flat roof, evoke a sense of tradition juxtaposed against modernity. 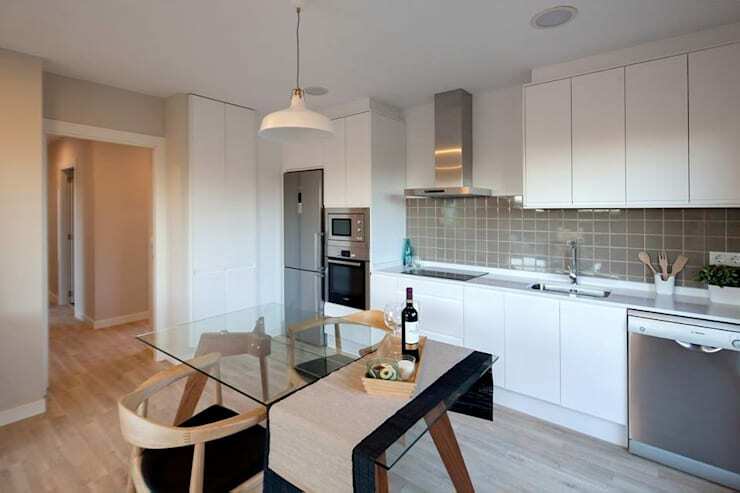 Open-plan homes are becoming more and more the norm, with many contemporary properties opting for a free flowing sense of movement throughout the dwelling. Here is no exception as the architects and designers have chosen a floor plan that boasts airy spaces, perfect for spending time with family and friends. The living room is simple and effective, while the dining space is compact yet comfortable. Although only a small dwelling, the interior feels larger than it should, with plenty of cosy corners, and minimalist décor. Almost Scandinavian in its style and design, the interior of this abode brings simplicity to the forefront of its essential aesthetic elements. 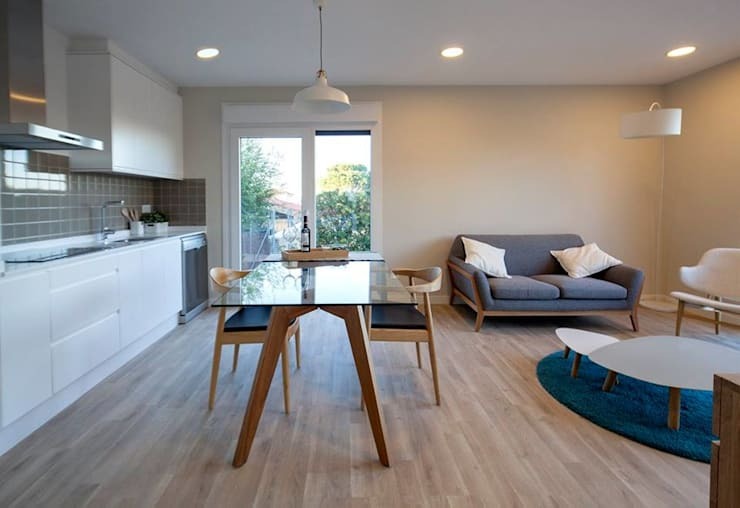 Light timber flooring is paired with mid-century modern era furniture, adding to the chic Nordic ambience. Windows are large, with most opening up as doors to bring air as well as light into the room. The colour scheme is light and neutral, ensuring the natural sunlight is reflected within the area, adding to a straightforward and uncomplicated setting. Turning around to change out vantage of the kitchen, we are able to see the way it has been thoroughly considered and designed to accommodate a variety of situations. Streamlined and set against the back wall of the house, the kitchen is minimal and sleek. Stainless steel appliances bring a sense of contemporary fashion to the space, while the tiled splashback presents an eye-catching contrast to the white fitting free joinery. Tranquil, whimsical, and utterly indulgent, the bedroom in this dwelling is perfectly set up for a restful night's sleep. The décor has been kept rather simple within this room, which ensures the overall vibe and aura of the space remains open and airy. 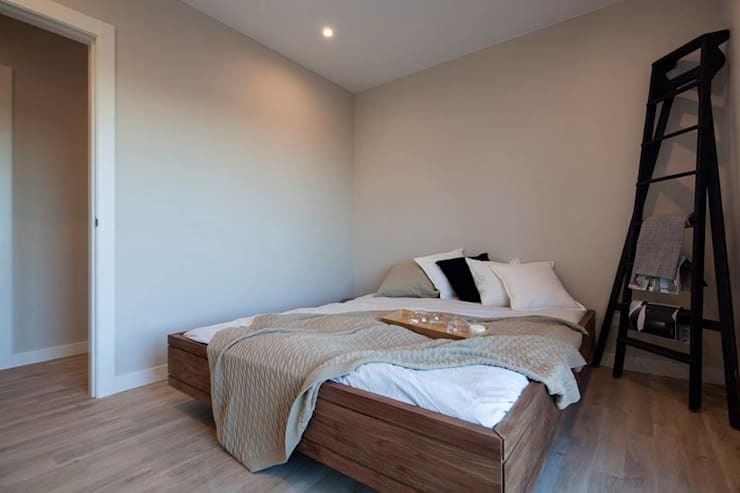 A simple ladder sits in the corner of the space, offering an attention-grabbing feature, as well as a practical place to store bedroom accoutrements. Finally we take a peek at the cosy reading corner that has been designed to offer the home's occupants a place to settle down, rest and relax after a long day. Here the aesthetic is well considered and adds a sense of unity and harmony to the overall abode. 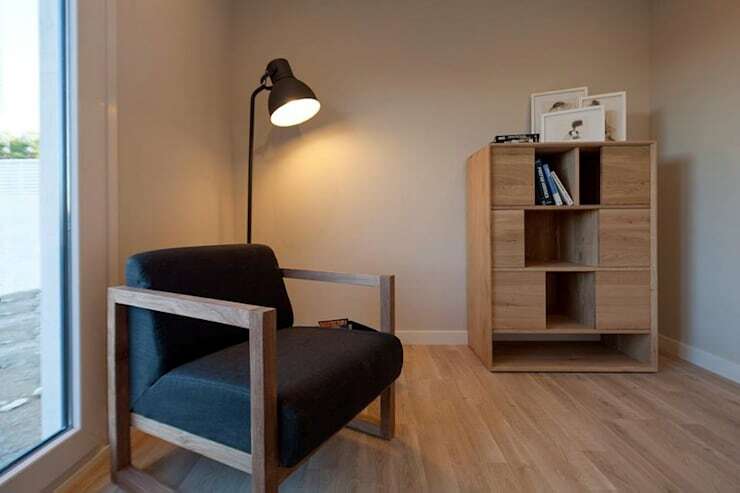 Timber tones are continued throughout, and this is seen in the furniture as much as it is in the more permanent aspects of the dwelling's design. Lighting in this room is subtle yet crisp, with a feeling of comfort and hospitality evident. 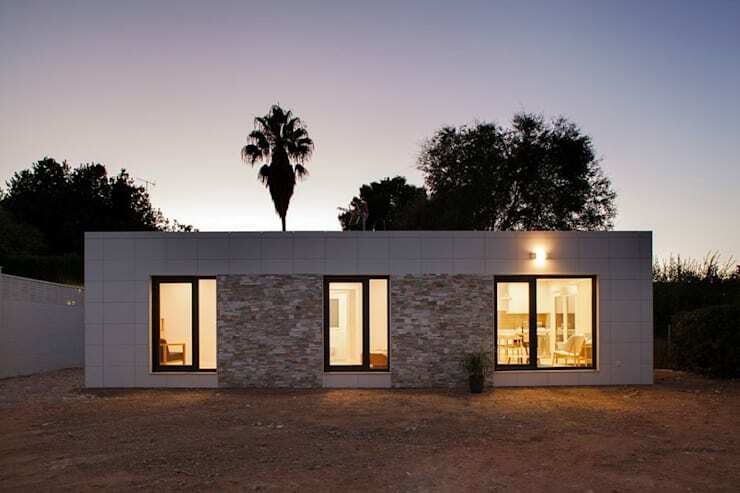 What did you think of this modern prefab home? Let us know by leaving a comment below!